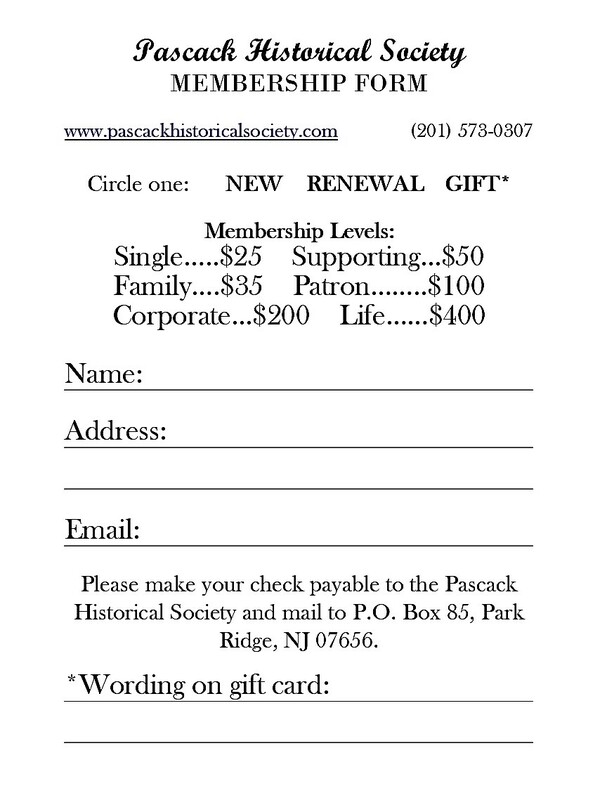 All members receive RELICS, our quarterly, award-winning newsletter about the history of the Pascack Valley. All members receive a 10% discount in our Gift Shop and at Special Events. All members are invited to many events throughout the year (lectures, displays, reenactments) free. All members’ dues sponsor many free programs for children, seniors, veterans, disabled, Scouting groups, etc. The Society is a 501(c)(3) organization and your donations are tax-deductible to the full extent the law allows.